Today, as human life develops its recreational needs, human travel becomes more critical and more attentive. As the tourism industry develops, the hospitality industry is growing, providing travelers with a place to rest, eat and stay longer. In fact, the industry is occupying a small part of the world economy. Do you want to try once to become the owner of a hotel and begin to build your career from this service industry? Hidden Hotel will provide you with a real gaming experience. If you are looking for a new experience, do not miss this game! 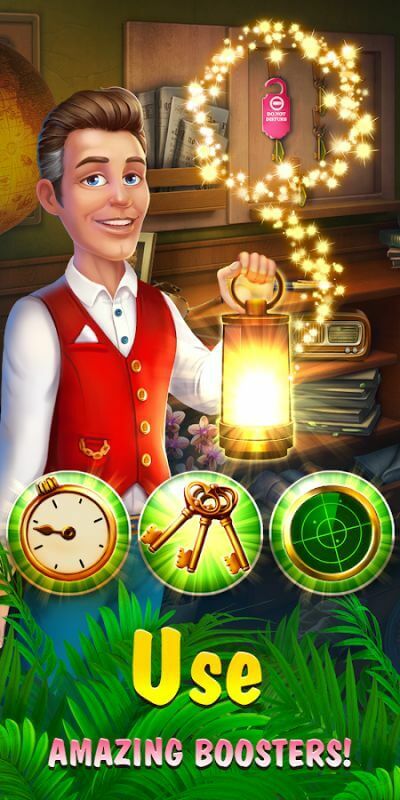 Hidden Hotel is not a regular hotel management game; you do not have to worry about planning marketing for customers or serve them. Hidden Hotel’s story takes place at a large hotel but is pretty much damaged by an earthquake. Now this place is deserted, and your mission is to restore this hotel to put it to proper operation. So how do you restore it? It is simple, I will explain briefly through the mechanism of the game. Hidden Hotel is a puzzle adventure game, where you have to find the items you have chosen. At the bottom of the screen is a list of objects you need to search. 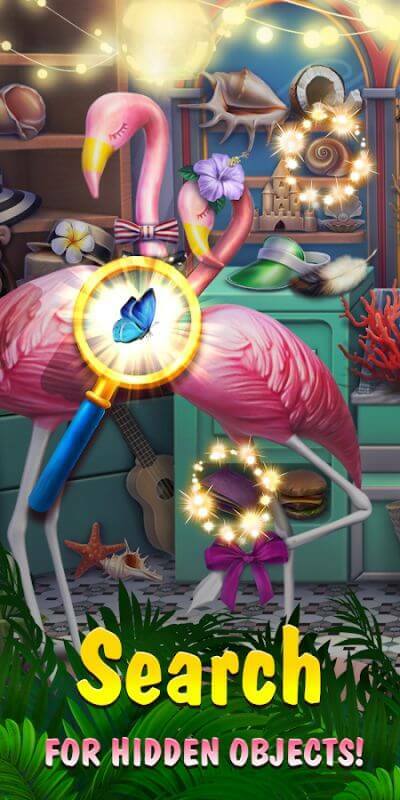 You have to look closely at where the objects are located, then click on them to collect. When you complete the challenge, you will receive a bonus. However, there is a status bar at the top of the screen, corresponding to the reward levels x6, x5, x4, x3, x2. The faster you look for items, the higher your reward. Therefore, if you can observe well, then you will benefit from this game. However, it is important to note that the first levels are relatively easy to play so that you can familiarize yourself with this new game. The higher levels will be more complex; the objects are hiding more carefully. Sometimes you will feel quite confused. Once you have the bonus, you can move around your hotel to clean up everything and replace old or damaged items. To buy items, you can visit the shop, click on items and a new look will appear for you to choose from. Are you ready to become a hotelier and rebuild a dream hotel for yourself? 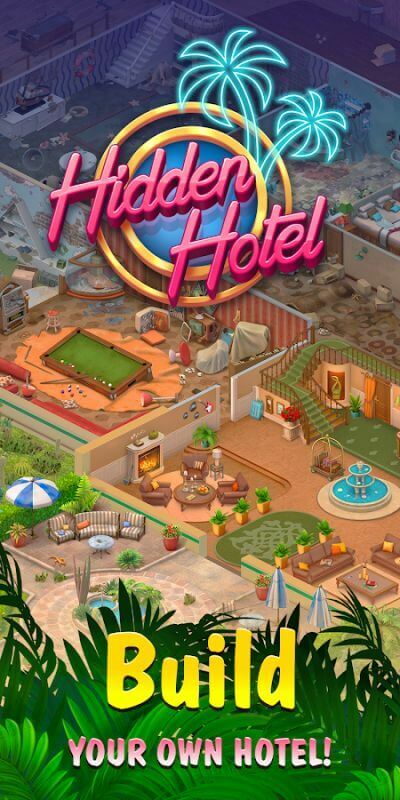 Hidden Hotel not only gives you leadership but also helps you train your way through gameplay and design capabilities through the way you build your hotel. But this game is not easy because of too many puzzles. 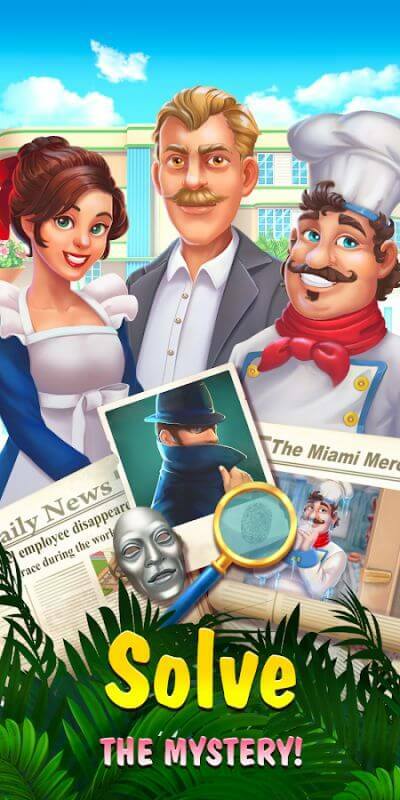 Download this game and start breaking the mystery.